The legendary mathematician Paul Erdős would have turned 100 today. Aziz S. Inan, Professor of Electrical Engineering at University of Portland and a friend of Plus, has sent us this fitting tribute. Paul Erdős would have turned 100 today! Image: Kmhkmh. Paul Erdős (26 March 1913-20 September 1996, died at 83) was an influential Hungarian mathematician who spent a significant portion of his later life living out of a suitcase and writing papers with those of his colleagues willing to provide him room and board. He worked on problems in combinatorics, graph theory, number theory, classical analysis, approximation theory, set theory, and probability theory. He published more papers than any other mathematician in history, working with hundreds of collaborators. He wrote over 1,500 mathematical articles in his lifetime, mostly with co-authors. Erdős is also known for his "legendarily eccentric" personality. Erdős strongly believed in and practiced mathematics as a social activity, having over 500 collaborators during his life. Due to his prolific output, his friends created the Erdős number as a humorous tribute to his outstanding work and productivity. 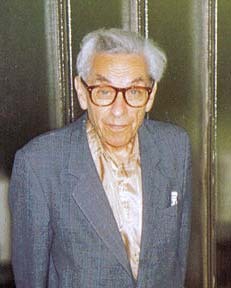 The Erdős number describes the "collaborative distance" between a person and mathematician Paul Erdős, as a measure by authorship of mathematical papers. Today, Tuesday, 26 March 2013, marks Erdős' centennial birthday. As I was looking at numbers related to Erdős' birthday, I noticed some interesting numerical coincidences and connections. I decided to report my findings in this article, as a centennial brainteaser birthday gift for Erdős. Erdős' birth date, 26 March, can be expressed in day-month date format as 26-3, or simply 263. Coincidentally, the 263rd day of 2013 and any other non-leap year is 20th of September, the day Erdős died in 1996. So Erdős' 100th birthday expressed as 2632013 is divisible by the 263rd prime number 1669, where 263 represent Erdős' birth date, 26 March! Also, if its prime factor 1669 is split in the middle as 16 and 69, these two numbers add up to 85, where the 85th day of 2013 (and any other non-leap year) is amazingly 26 March! In addition, the prime 83 represents Erdős' death age and 19 is equal to half of the reverse of 83. Erdős' birth year 1913 is the 293rd prime number, 293 is the 62nd prime number, the reverse of 62 is 26, again the day number of Erdős' birthday. Here, 1289 is the 209th prime number where 209 represents Erdős' death date, 20 September. In addition, again, prime 83 corresponds to his death age. Thanks for transforming mathematics into a universal social activity through your modesty and humbleness Paul Erdős, and have a happy 100th birthday! What a wonderful tribute to a great mathematician. Unfortunately I do not have an Erdos number. Do you?